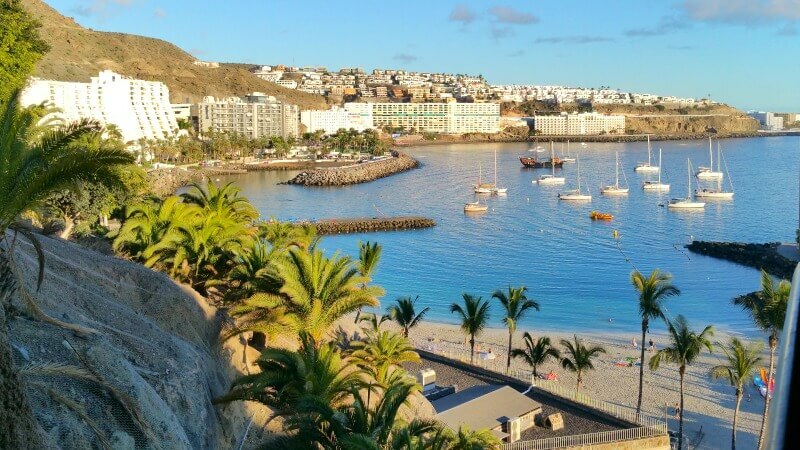 The Anfi Beach with its fine white Caribbean sand is one of the most popular beaches amongst locals and holiday-makers alike. With the extensive choice of water-sports it is also a favourite amongst those who love water activities. 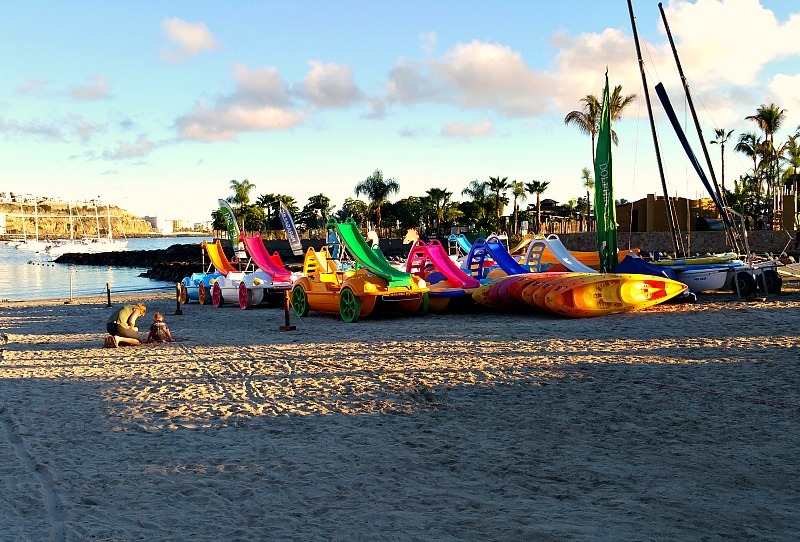 The Anfi Beach has it all! 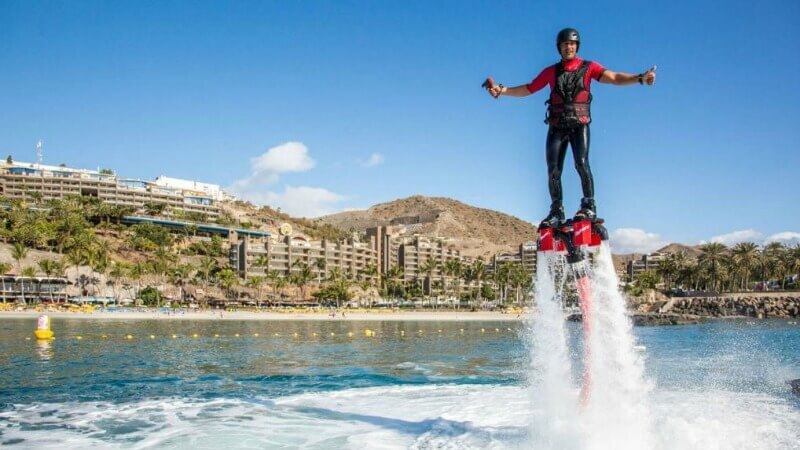 There is something for young and old, the daring and the cautious, the very sporty types and the ones who came to Gran Canaria on holiday only to relax. 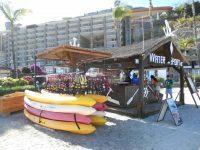 Numerous different restaurants, bars and cafes are lining the beach walk. The Anfi island has one of the finest chill out lounges of the island. Why is the Anfi beach sand white? The fine white sand on Anfi beach has been imported from the Bahamas. 11.000 tons of it, to be exact. Bjørn Lyng, the founder of Anfi del Mar, had a very special vision for this holiday paradise: a white beach in the best climate of the world and only 5 hours flight away from his home country Norway. 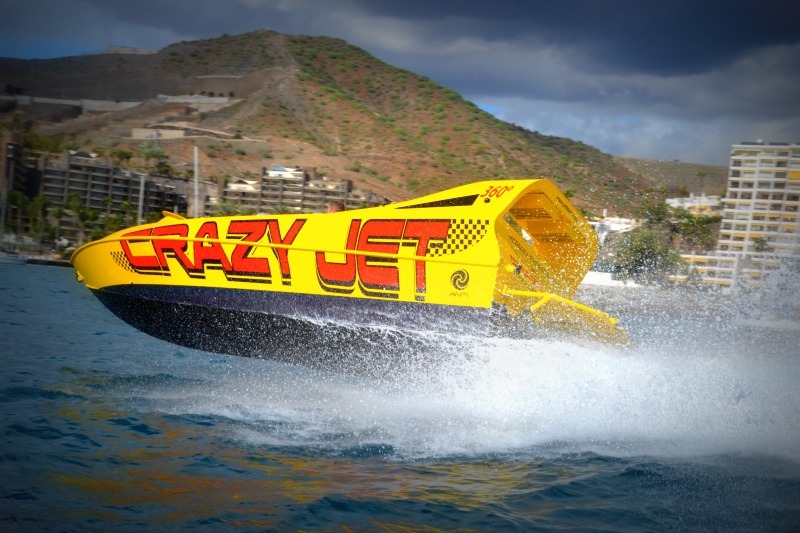 He started the Anfi project in the early 1990’s by building the first resort with the name of Anfi Beach Club. The sand was delivered in 1992, shortly before the resort opened its doors for the first holiday makers. 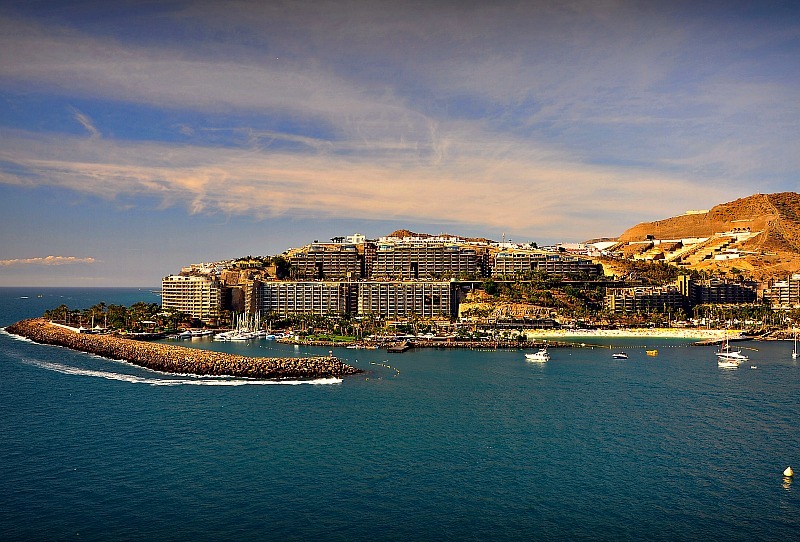 The word “Anfi” has become synonymous for the resort, the island, the yacht harbour and the beach. Its original name was Playa de la Verga, but now everyone calls it Playa de Anfi. 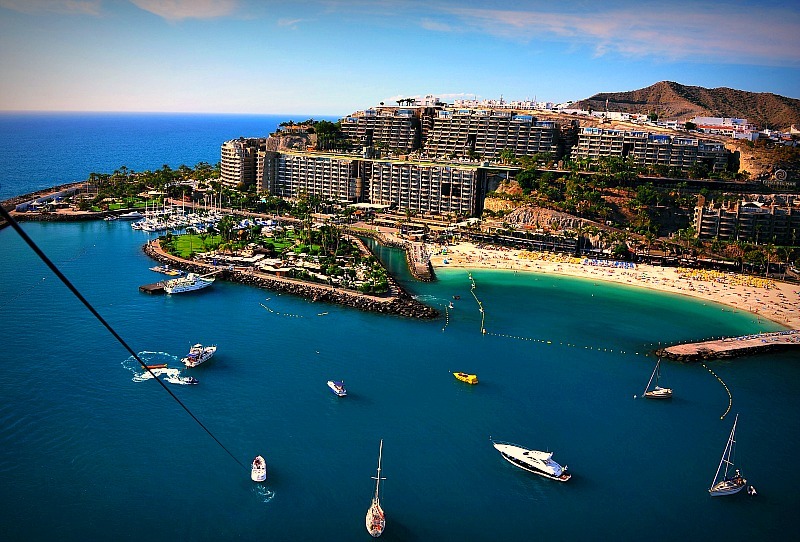 Everyone who lays their eyes on the Anfi nowadays is stunned by its sheer man-made beauty. 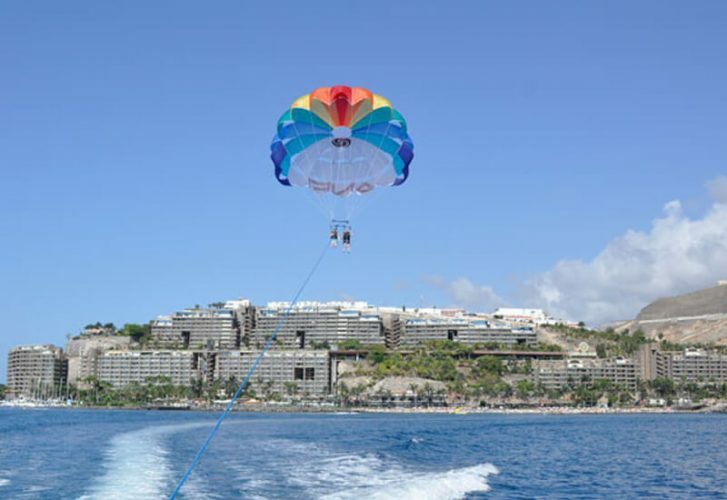 You will find Anfi del Mar in the Barranco de la Verga, between Arguineguín and Puerto Rico in the south-west of Gran Canaria. The area belongs to the the district of Mogán, which so happens to have the best climate in the world. 350 sunny days per year! The white Anfi Beach is located in a protected lagoon, flanked on one side by a peer and on the other by an artificially constructed heart-shaped island. You will find it on the coastal road between Arguineguín and Puerto Rico. Right in front of the resort, there is a public bus stop. 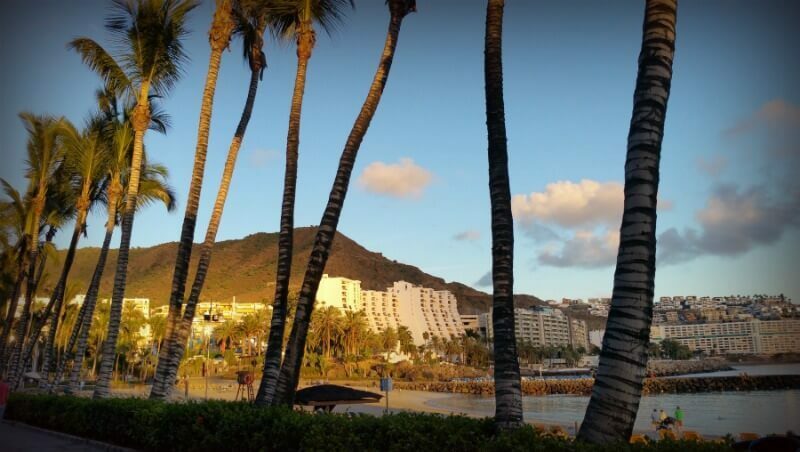 If you are travelling by car, you can either park you car in the free car park on the opposite side of the road of Anfi del Mar, or in the blue zones along the road. If you rather prefer leaving your car in the shade or want to be brought down to the beach level by elevator, simply park in the Monte Anfi public car park. It can be costly, but it is also very comfortable.